Everything is nicely presented, wrapped in tissue paper, with a booklet on top. 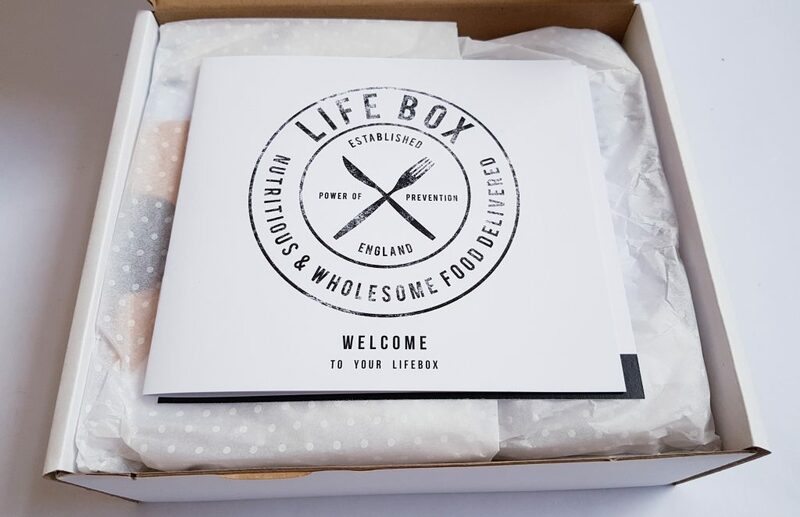 The excellent booklet includes recipes, two of which use items from the box itself. 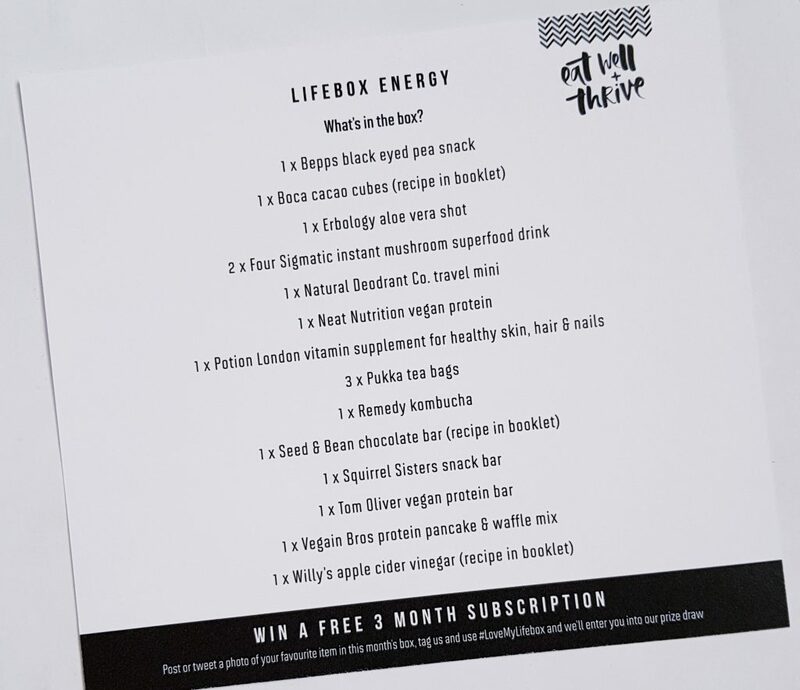 There’s also a menu, listing all the items in the box. 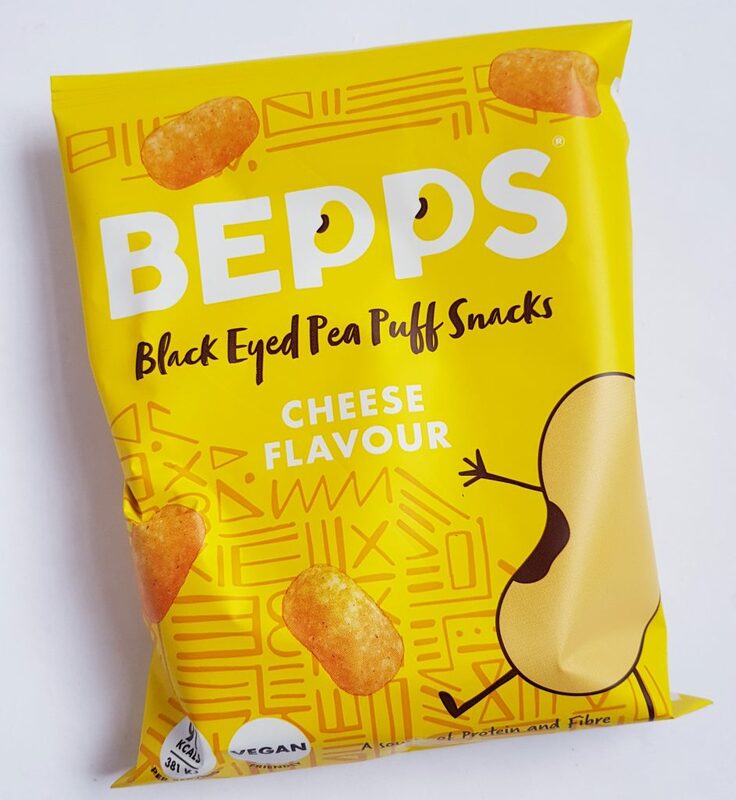 These Bepps Black Eyed Pea Snacks are rather like little corn puffs, cheesy and crunchy. They make a nice change from some of the more conventional corn snacks, relatively low in fat, and are under 100 calories a pack. 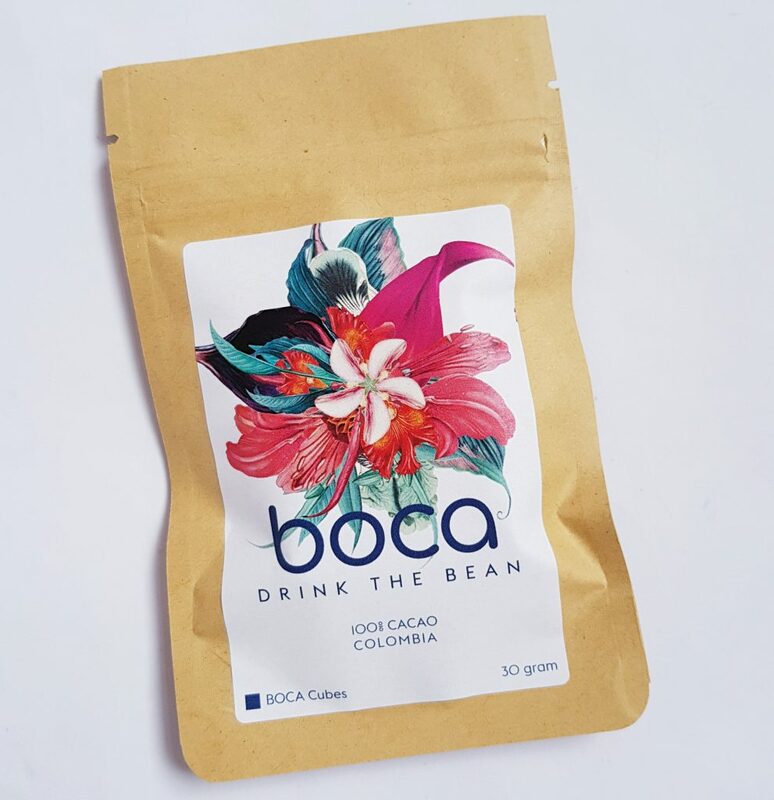 There’s a recipe in the booklet using these Boca Cacao Cubes. This kind of unprocessed cacao makes for wonderful hot chocolate! 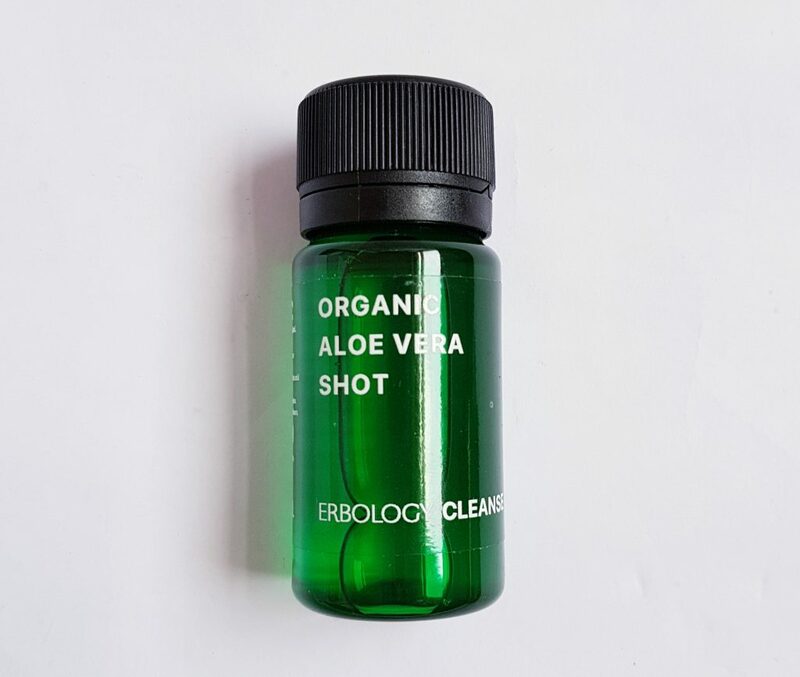 This is an Erbology Aloe Vera Shot. I don’t like the flavour of aloe vera juice, but you can also add it to juice or a smoothie. 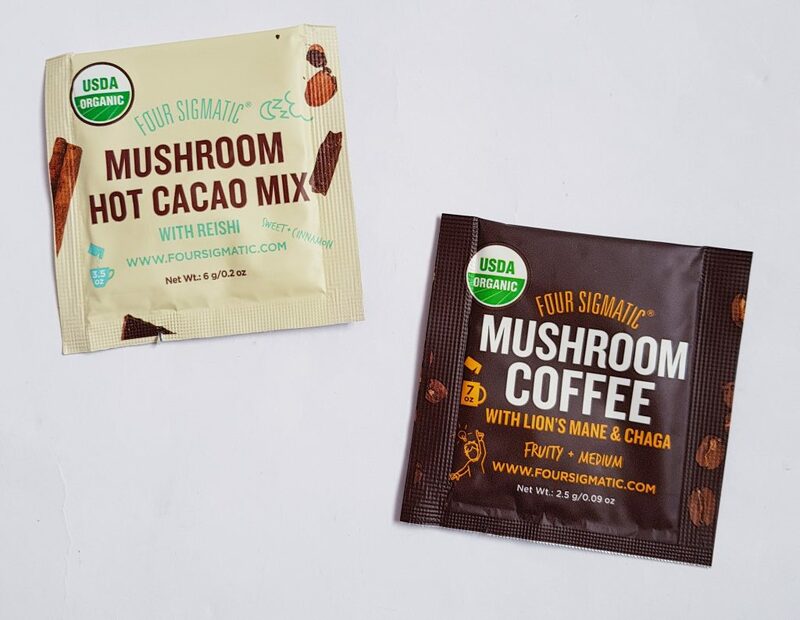 These are two Four Sigmatic Mushroom Superfood Drinks. One coffee to wake you up, and a hot chocolate to help you sleep. They do contain actual mushrooms, for the nutritional benefits, but fortunately don’t taste like them at all! Here’s a non-food item, a Natural Deodorant Co. travel size pot. It smells delicious, and now the weather isn’t so hot I’m much more prepared to use a natural deodorant! 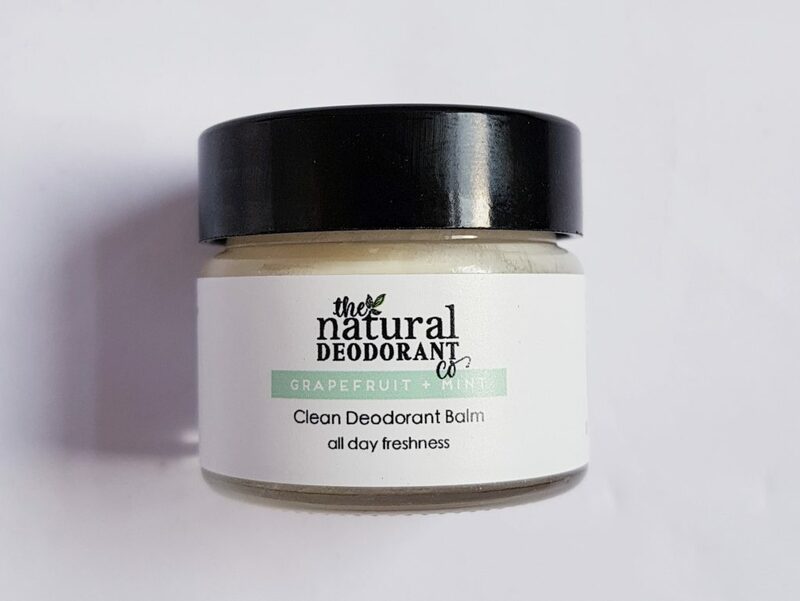 The small size is very handy to travel, or to experiment with natural deodorant if you haven’t tried it before. 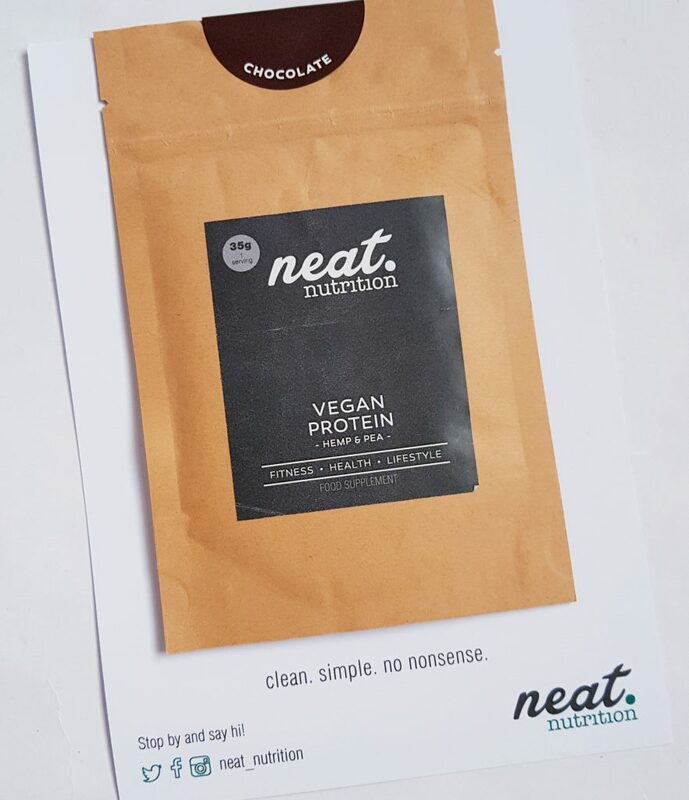 Neat Nutrition Natural Protein is, of course, a vegan protein supplement. 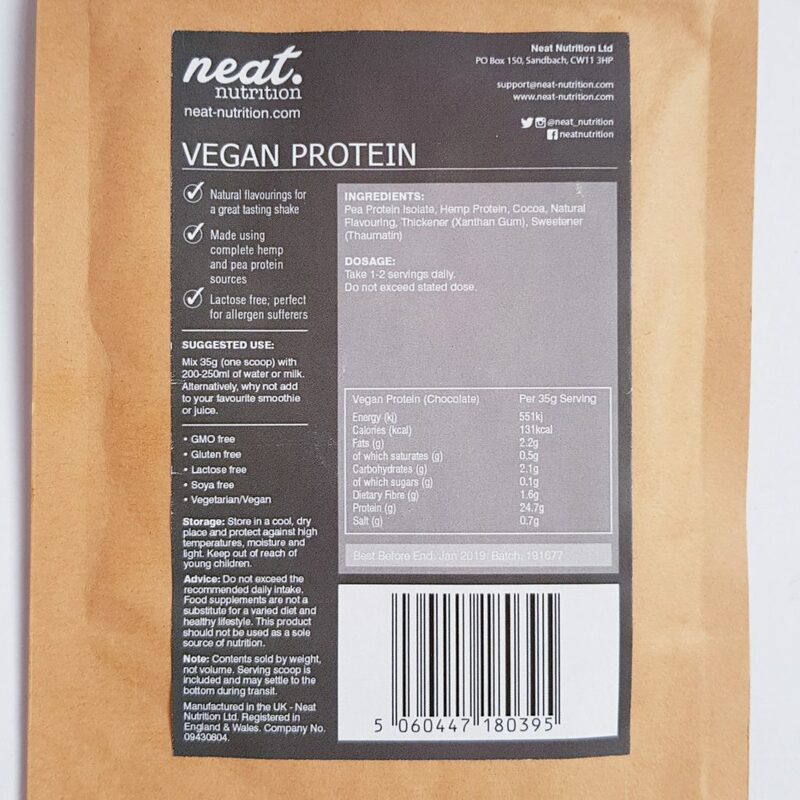 The nutritional profile is excellent, 24g of protein per serving, and this is very useful for anyone who can’t have regular whey protein. The only thing that I’m less keen on is the flavour, because I add protein to smoothies and prefer unflavoured. That’s purely personal though, I think this option would be perfect for anyone who wants to use this as a meal supplement or snack. 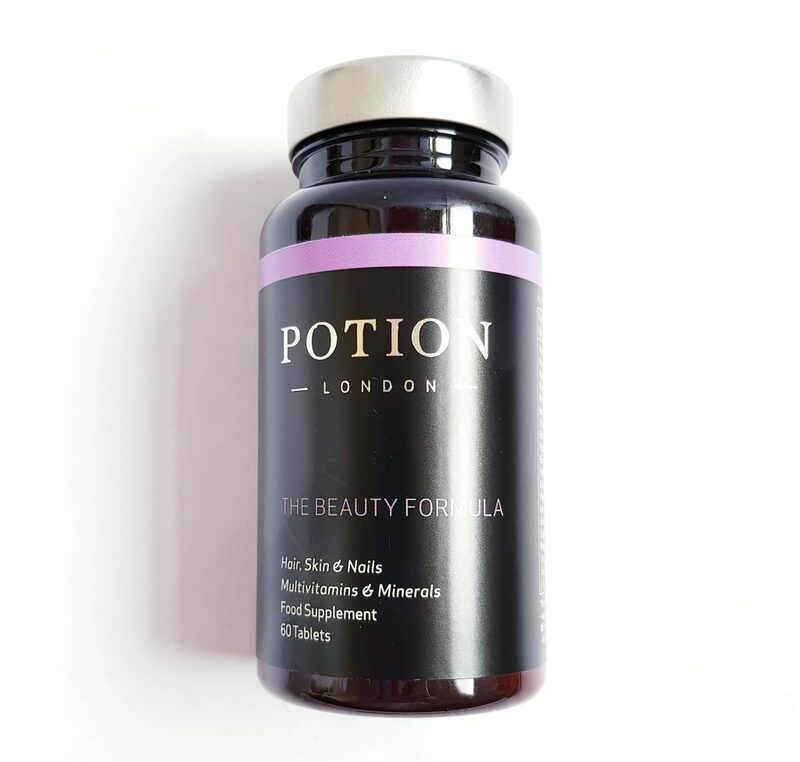 This is a very generous bottle of supplement – Potion London Hair Skin & Nails Vitamin Supplement. This is a one-a-day pill, and there are 60 in the bottle, that’s two months’ worth! Each bottle costs £25 retail, so this is a really impressive addition to the box. These are three Pukka Teabags. Pukka makes all kinds of weird and wonderful herbal teals, so this is a nice selection to try some of them out. 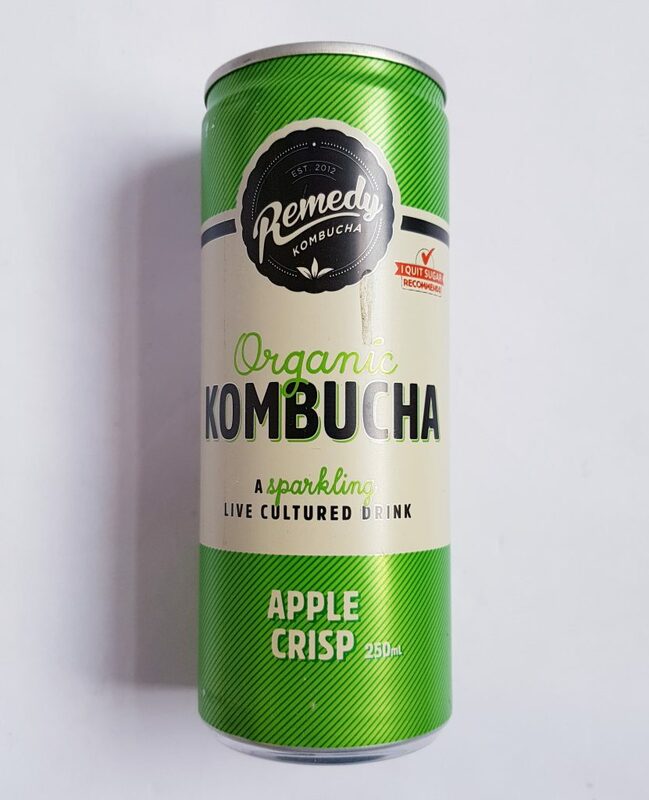 There’s a drink in every box, this month a can of Remedy Kombucha. It’s a delicious drink, a wonderful alternative to soda, and I’m really glad to have some this month! 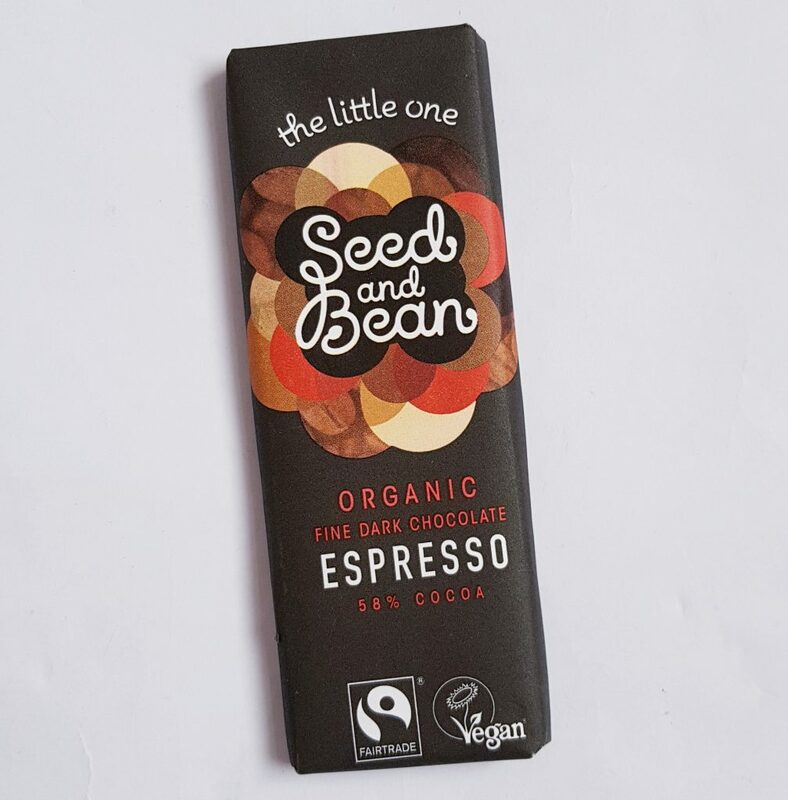 Seed & Bean chocolate is delicious, and this little bar is perfect to drink with your coffee. 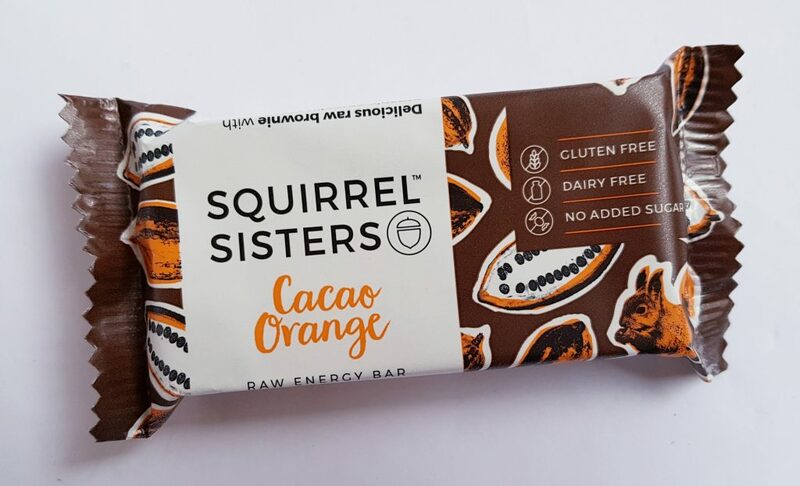 This Squirrel Sisters Snack Bar is a delicious all-natural treat. No added sugar, organic, and very tasty. 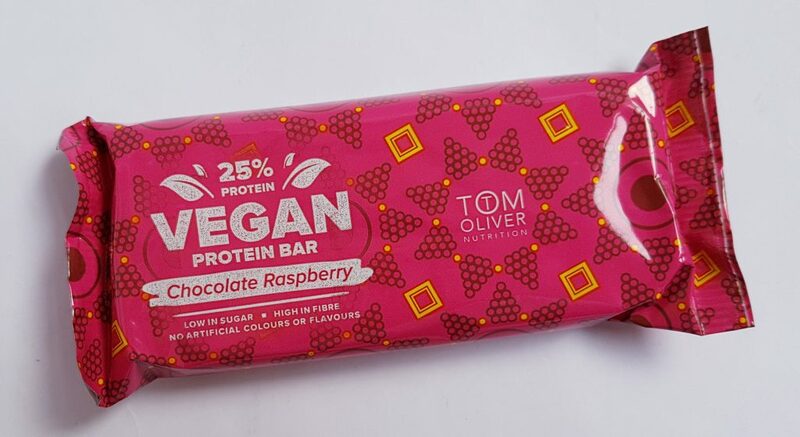 Vegan protein bars are getting easier to find, but this Tom Oliver Chocolate Raspberry Vegan Protein Bar is quite a nice example. The nutritional profile is pretty good, and it has fewer scary ingredients than your average protein bar, including some organic ones! 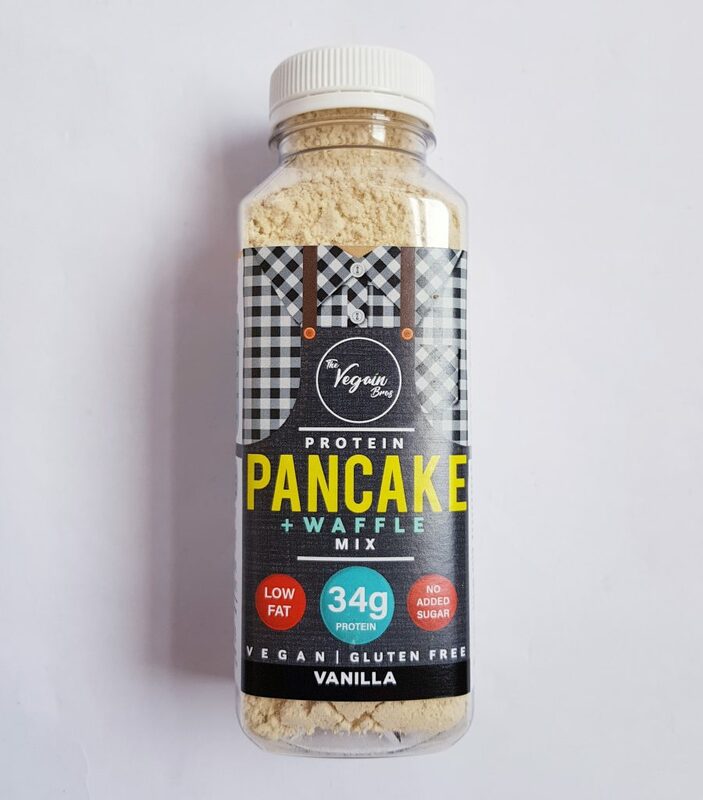 I’m really looking forward to making this Vegain Bros Protein Pancake mix. I make pancakes often at weekends, and it will be really interesting to see how these compare, especially having a lot more protein than my usual revipe! 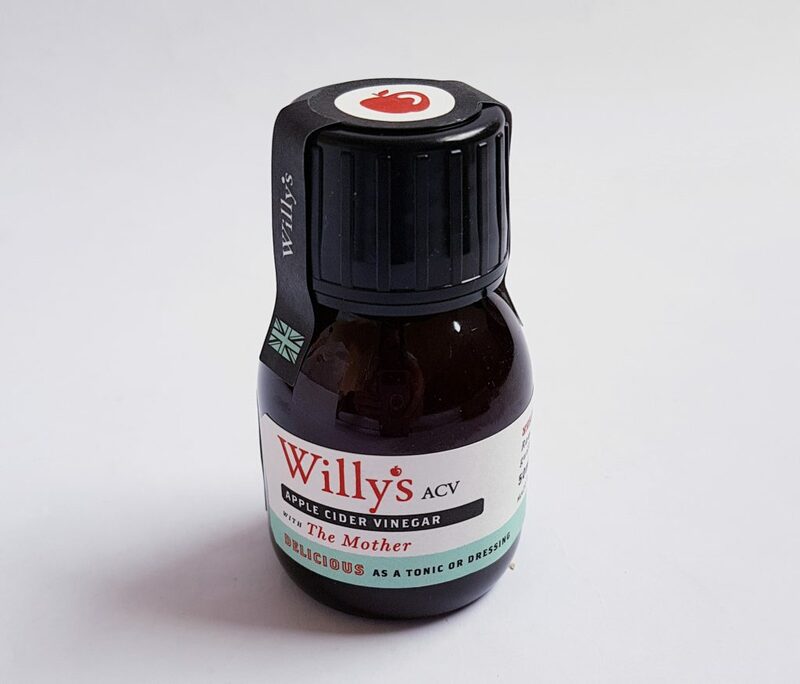 There’s a recipe in the booklet for using this Willy’s Apple Cider Vinegar. I use ACV all the time, in dressings etc. so it’s always nice to discover another brand. This one is also raw and unfiltered, which is absolutely the best kind. 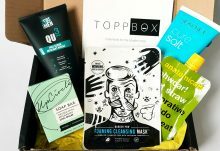 I’m really excited by this month’s box. The value is incredibly good, not least because of the vitamin supply. The only thing I’m not convinced by the the aloe vera shot, because there’s not any evidence that aloe vera is nutritionally useful. But that’s only one item out of 14, and the rest are fantastic. 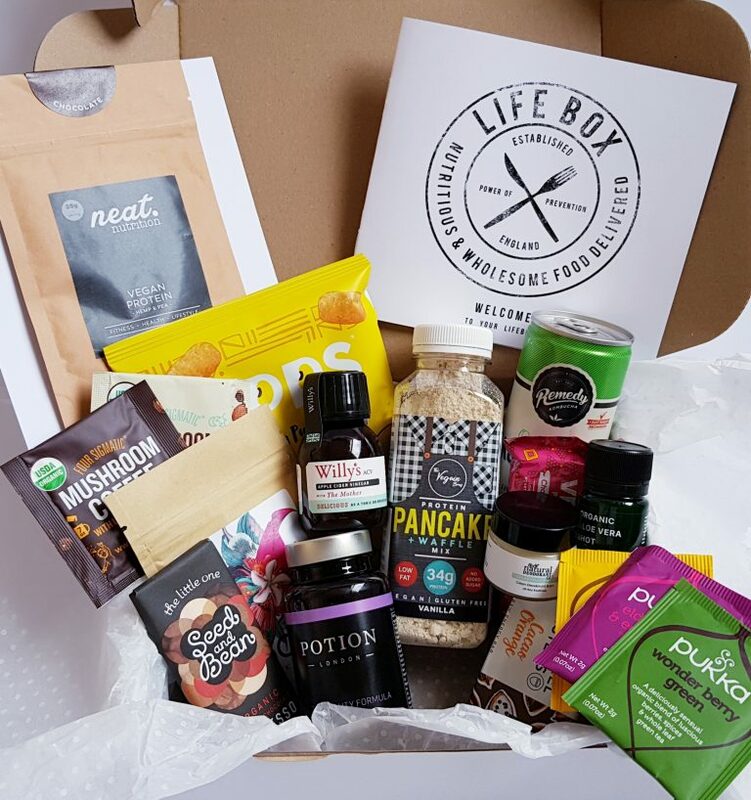 I especially love the high protein items, as protein is important to me, and I’m really intrigued by the pancake mix! The various snacks are very useful for on the go, and there’s all kind of things to try that would never have occurred to me, such as mushroom coffee. 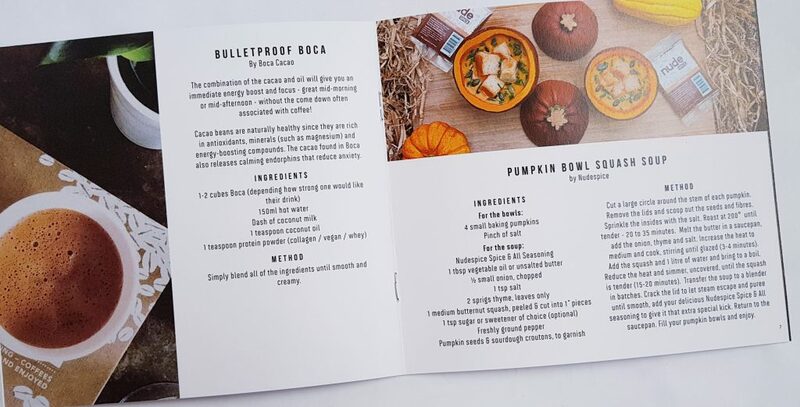 The cacao cubes and the mushroom drinks are also going to be very welcome as the weather is starting to cool down! 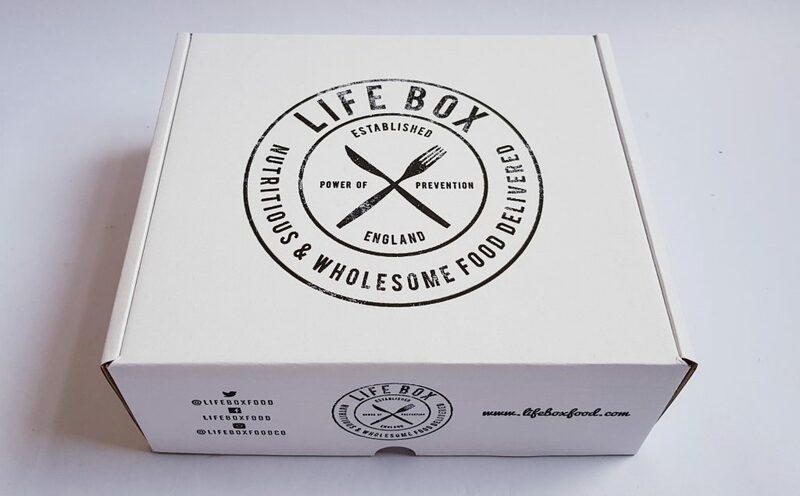 This box is a great way to discover healthy items, especially that you might not come across in the supermarket. 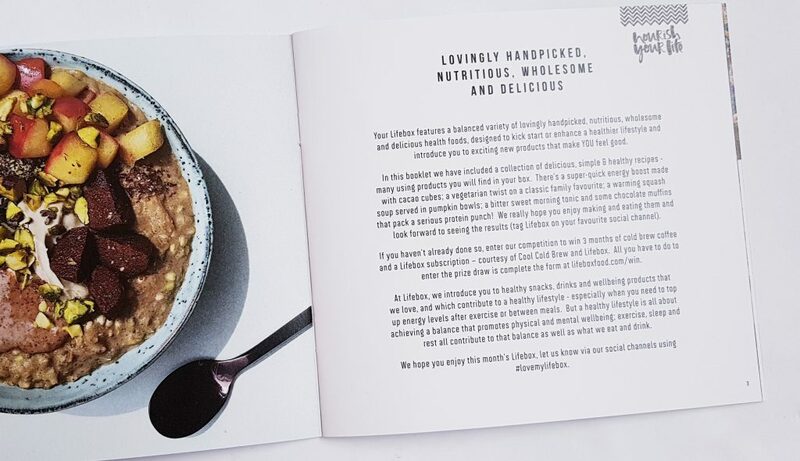 The inclusion of recipes is incredibly thoughtful, especially for anyone who is starting out on a healthier journey. The value this month is also exceptional, as you get way over the cost of the box in the value of the contents. And postage is included! 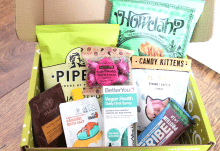 This month's selection is fantastic, with a great vitamin supplement and plenty of higher-protein goodies!